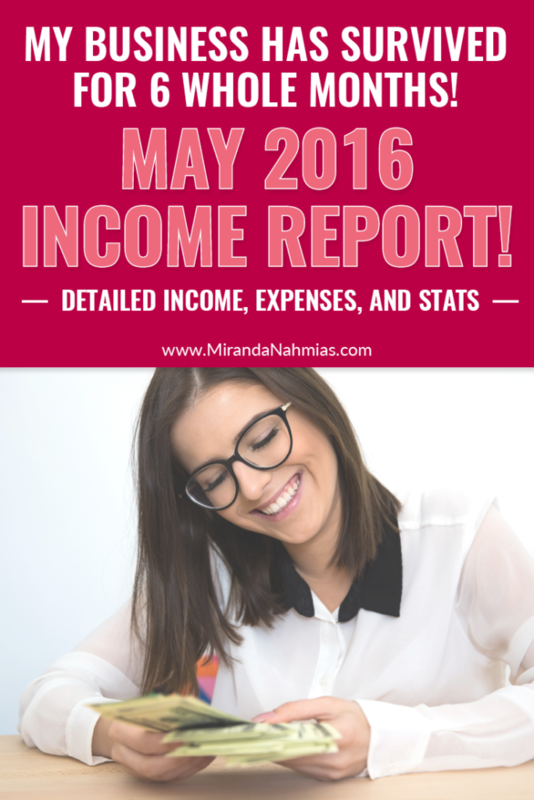 May 2016 Income Report — I've Officially Lasted 6 Months! 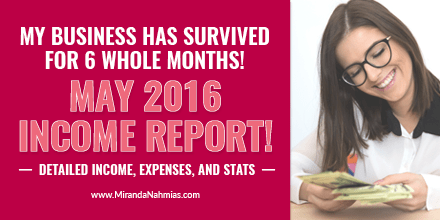 May 2016 Income Report — I’ve Officially Lasted 6 Months! Wow, what a crazy and super busy month! 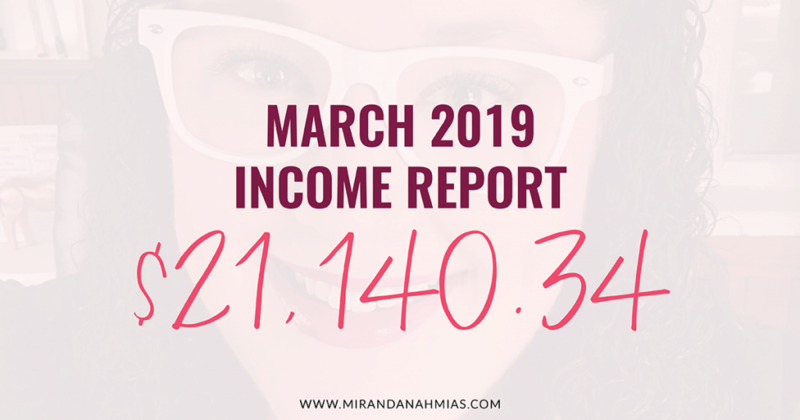 Unlike April, May was awesome, and left me feeling a lot better about what’s to come for my business. I finally reached my goal of making $2,000 in sales during one month. I ran a huge awesome giveaway (which is still available to enter for a few more days!). And I managed to successfully shut down the business for a little vacation while I’m away getting married and going on my honeymoon! 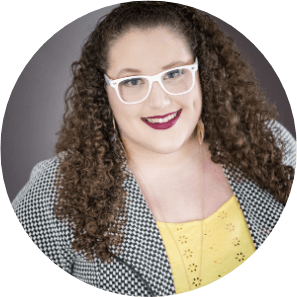 We now have a fifth member of the Miranda Nahmias virtual assistant team, and she specializes in branding! I stepped down to only 2 days a week at my full-time job. Can I just say how pissed I am that The United States of Tara got canceled? I finally got to the end of the third season and I NEED MORE! Brent and I did something really weird for us and finally went for both the Showtime subscription on Hulu, plus we opted in for no more commercials! We don’t normally spend a lot of our money on entertainment, but we are both super into TV, so we will definitely make good use of these upgrades! My Goals From May 2016: Success or Failure? Have a plan in place for running the business during Brent’s and my honeymoon = SUCCESS! 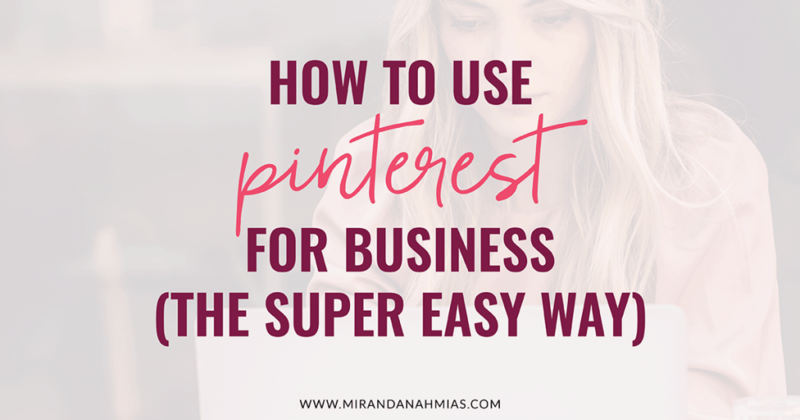 Although I do still have a few client tasks to wrap up before we officially tie the knot, I was almost entirely successful in my effort to put the business on “hold” for 15 days. 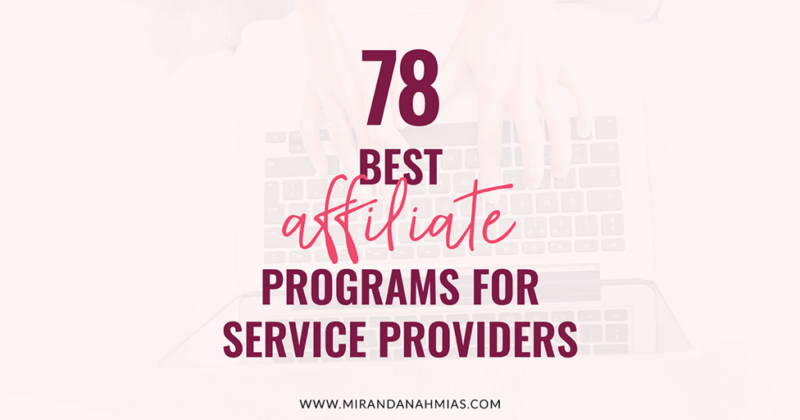 I didn’t meet with resistance from clients (although, c’mon, my excuse is pretty good), and was able to notify everyone within a decent timeframe to make specific plans on how to handle each client’s tasks on a case-by-case basis. The only thing I would do differently next time would be to plan even more extra buffer time before leaving. I planned to stop working after the 31st of May, but I realize now that I will be working well into June 2nd and maybe even June 3rd to finish up absolutely everything business-related before we leave. 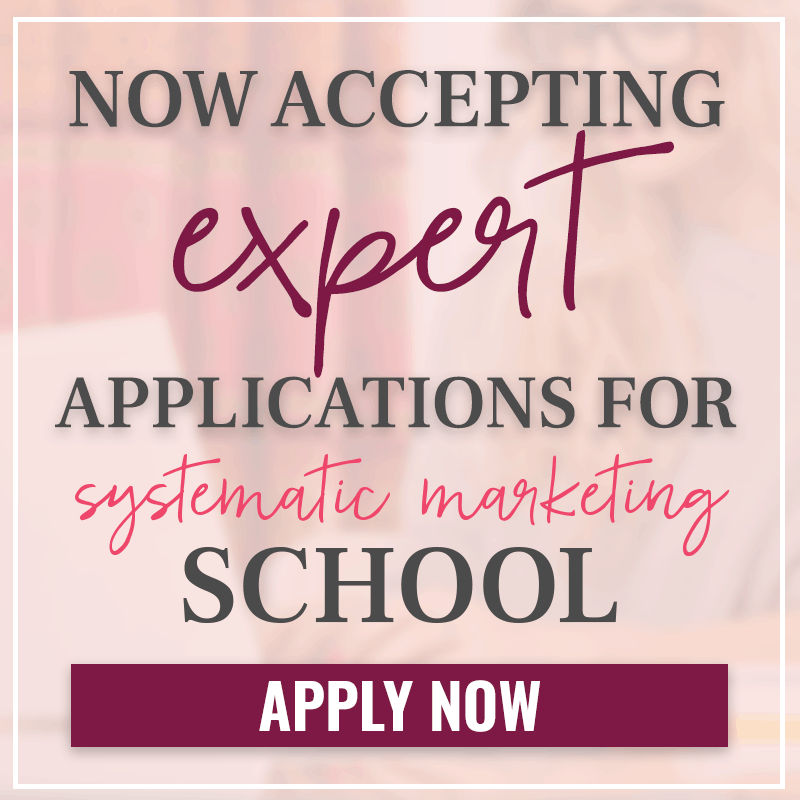 Make $2,000 in sales = SUCCESS! Wooooooohooooooo! I could not be more excited about this. I have been hovering in between $1,000-2,000 for the past few months, which was really frustrating, so it felt so good to break down that barrier. 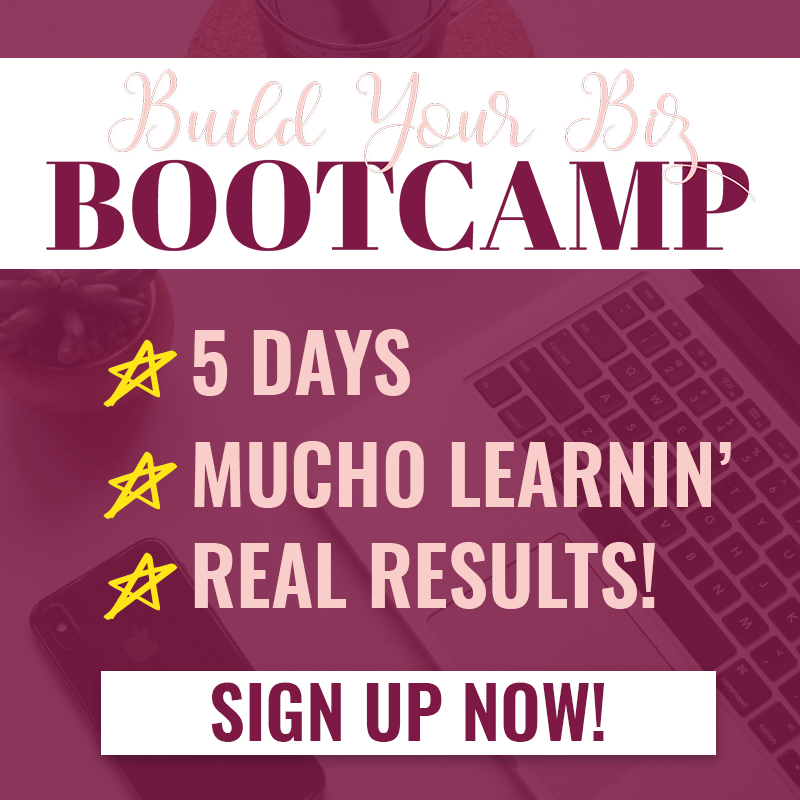 Meet my sales goal for 90 Days to Your Blog’s First $1k = SUCCESS! I very much squeaked by on this one, and it was a very small goal….but I made it! 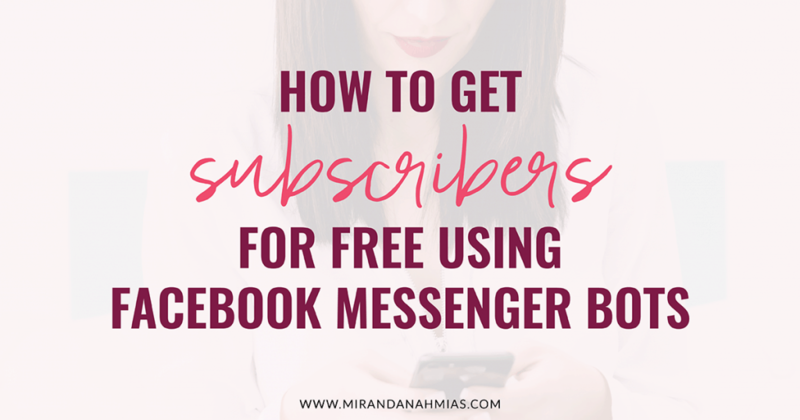 Reach 1,200 email subscribers = FAILURE. I knew about 5 days into the month that this was not going to happen, haha. So I’m not too bummed about this one. 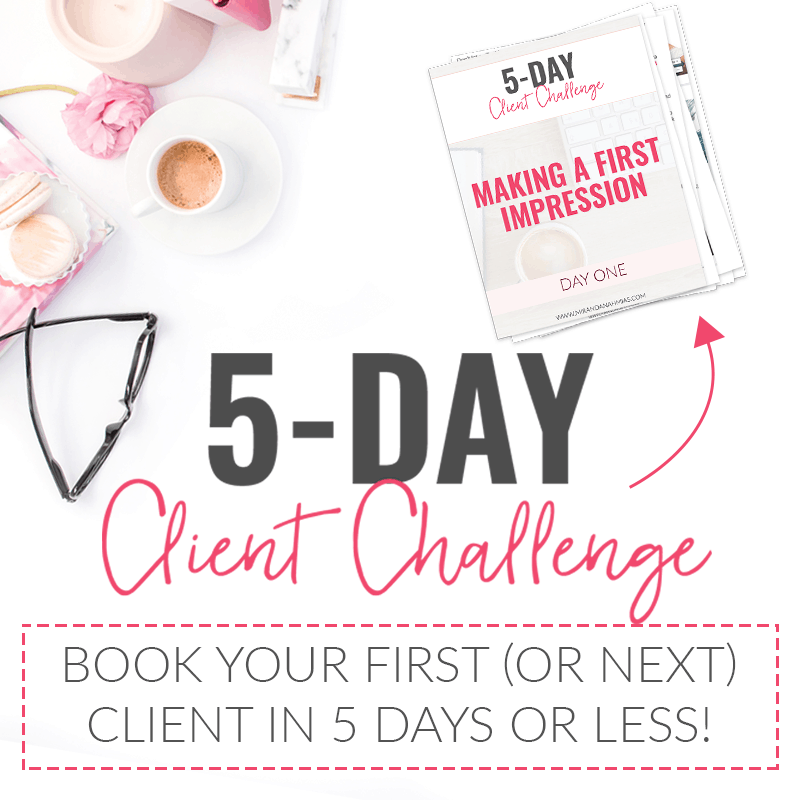 I am hoping that my styled stock photo pack will bring in some new people, plus the giveaway is still running, and I haven’t counted those new subscribers! My Goals for June 2016 — Let’s Do This! Choose a launch date and name for new secret project! I’m SO GLAD that my profit went up this month! Going from working 3 days a week down to 2 days a week at my day job was really stressful at first. I was terrified that I wouldn’t make enough profit for that decision to make sense, but luckily I achieved the profit goal I had in mind! I was actually worried that I’d have to go back to 3 days a week this month, but now it looks like I definitely won’t have to! I’m really proud of myself that I was able to cut down on my expenses from last month. It looks like $1k+ is now going to be my “norm” for expenses, but it’s comforting to know that about 50% of my expenses is actually the payments I make out to my team members. I definitely don’t want to cut down on that! Although I’d definitely like to see my design and software expenses go down. 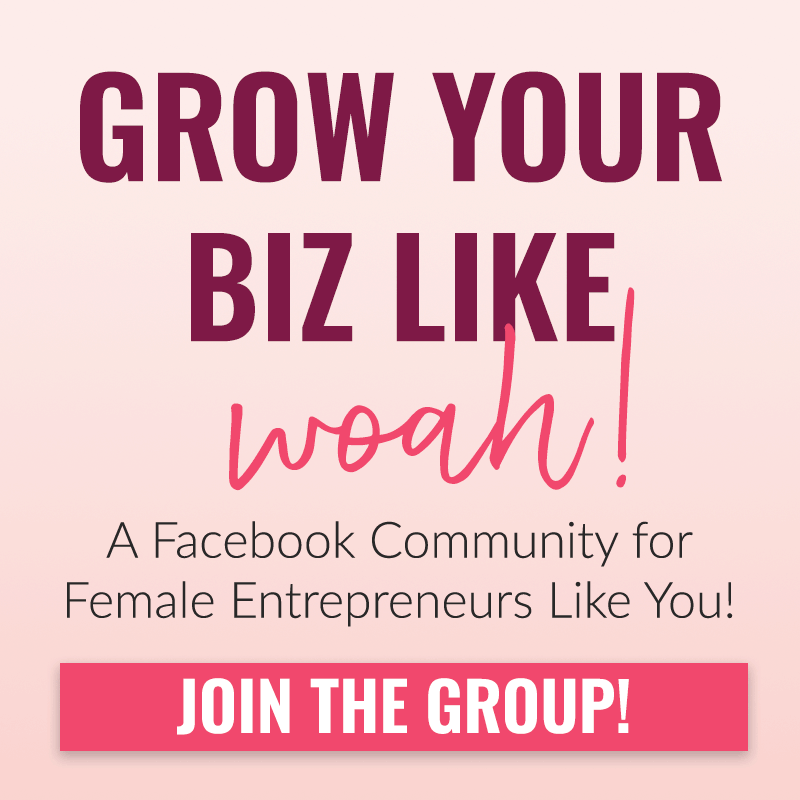 Let me know in the comments how much YOUR blog grew in May! Any big wins?